Registration for Teen Paint Night is required. Registration begins one month before the date of the event. This event is full. 24 photographs, one for each hour of a day in Sandy, to showcase the different perspectives of Sandy throughout a typical day. This is a collaborative, community project designed to capture the essence of Sandy. Each participant may sign up for an hour. During their time slot, they must take a photograph somewhere within 5 miles of the Sandy Public Library. At the end of the project, we will make a book of 24 photographs and a display for the library wall. You must use the registration form to participate, before April 8th. Questions? Contact Thea at tellen@ci.sandy.or.us. Come play, create and share! Join us in the Sandy Library Community Room on Mondays, 4:00 - 5:00 pm, during the school year for computer games, coding workshops, and Magic: The Gathering card games. We provide laptops and use self-guided coding tutorials for beginners, intermediate and advanced coders. Free popcorn and lemonade provided. Anime Club is for teens ages 12-17 or grades 6th - 12th, who want to come together to share their passion for anime. We will watch some anime, talk about our favorites, eat snacks, draw, craft, and iron perler beads. Meet at the Sandy Library Community Room on the 2nd and 4th Wednesday of each month from 2:30-4:30 pm. This event is free, snacks and craft supplies provided. Teen MakerSpace is a program that fosters opportunities for teens to have experiences that ignite creativity, imagination, satisfy a hunger for information, pique an interest, and connect with a community of creators. Teen MakerSpace is held in the Sandy Library Community Room, 2:30pm - 4:30pm, on the 1st, 3rd, 5th Wednesday of each month. Be inspired! We want to hear from you! Teens ages 12 - 17 are invited to join the Teen Library Advisory Board (TLAB) and help us come up with fun teen programming ideas. Meetings are held on the 3rd Monday of each month, 3:00 - 4:00 pm, in the Sandy Library Community Room. Pizza arrives at 3:45 pm! 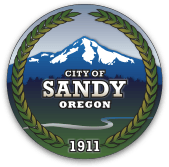 The City of Sandy is embarking on an ambitious effort to change the way it supports and thinks about young people. As part of that work, it's critical that the voices of youth be heard. This event is one of those times. In a Youth Town Hall Forum, High School students in grades 9 - 12 provide a personal voice, exchange diverse opinions on matters of importance to their peer group in a safe non-judgmental atmosphere. Student-moderated, this Youth Town Hall’s objective is to capture big ideas and enthusiasm which will lead the way to the City of Sandy’s first Youth Council. For additional information and the Youth Council application form, visit the Youth Council web page.